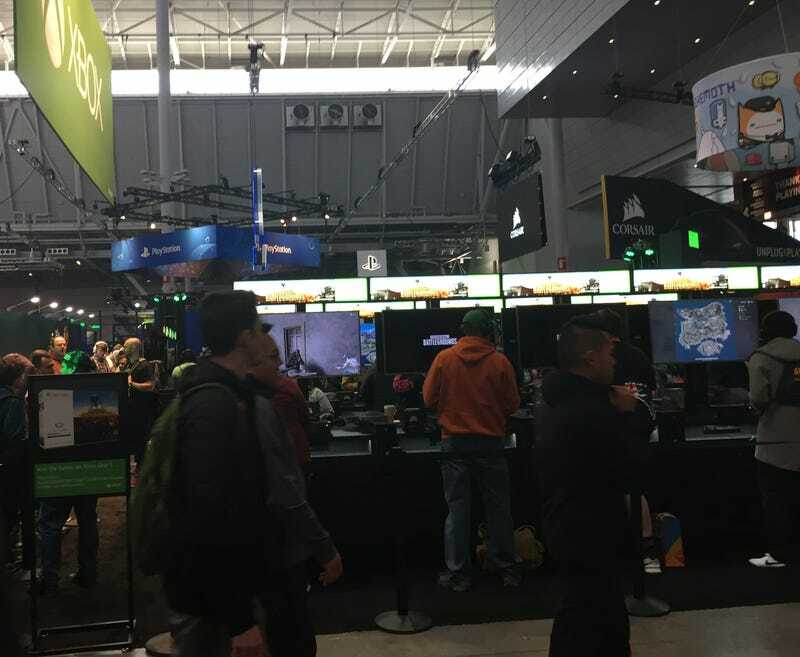 PlayerUnknown’s Battlegrounds stations dominate the Xbox booth at PAX East. PlayerUnknown’s Battlegrounds stations dominate the Xbox booth at PAX East. Behind that, the PlayStation booth opted to front-load Detroit: Become Human, with a couple of setups for upcoming titles like Soulcalibur VI and Yakuza 6 buried in the middle rows. Nintendo’s big draw is the Wolfenstein II Switch port demo.